As for the hangover, well, you're on your own. Both scientific and anecdotal evidence suggest that alcohol can alleviate emotional pain—albeit temporarily. But the beer-can wisdom of "it'll cure what ails ya" may not be too far off the mark, even when it comes to physical pain. According to recent research from the very metal-sounding Journal of Pain—a peer-reviewed scientific journal, not a teenager's diary—alcohol could be as effective in treating physical pain as actual medication. Because pain is a purely subjective phenomenon, it is notoriously difficult to measure empirically. But, by synthesizing 18 previous studies about pain and alcohol, authors of this study were able to crunch the numbers and find that increasing blood alcohol content (BAC) to 0.08 percent increases the pain threshold and creates a "large reduction" in pain intensity ratings. 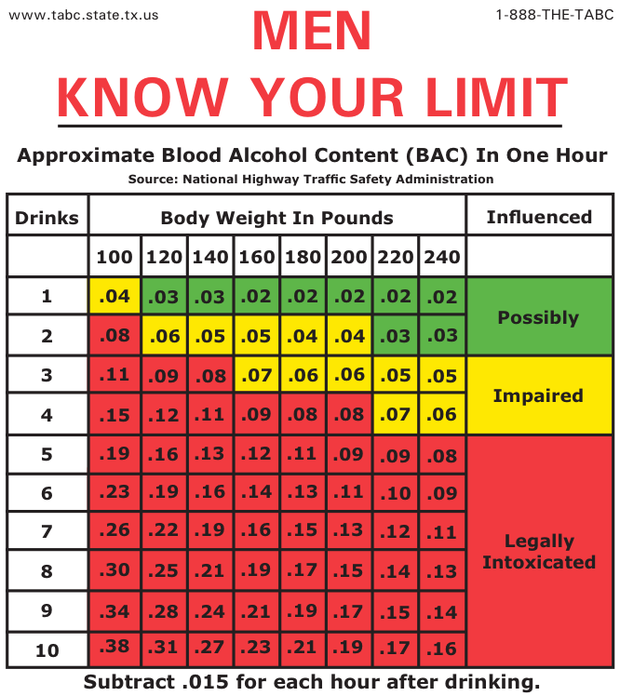 In other words, 0.08 percent BAC, a quantity of alcohol that translates roughly to "3-4 standard drinks" and also the legal threshold for drunk driving in most states, can offer significant relief to those perceiving pain. "Taken together, findings suggest that alcohol is an effective analgesic that delivers clinically-relevant reductions in ratings of pain intensity," authors wrote. So, does this mean that doctors will one day be prescribing shots of Jameson to chronic pain patients? Not really, because alcohol only has significant painkilling effects when consumed at levels which are fundamentally unhealthy for the rest of your body. So before you crack open a beer in the name of science, it's important to take a holistic perspective on the matter. "Strongest analgesia occurs for alcohol levels exceeding World Health Organization guidelines for low-risk drinking and suggests raising awareness of alternative, less harmful pain interventions to vulnerable patients may be beneficial," researchers concluded, adding that their results could explain why "alcohol misuse in those with persistent pain" despite the fact that it wreaks havoc on their bodies in the long-term. Maybe these results can also explain why the hair of dog can alleviate the most lingering of hangover headaches.